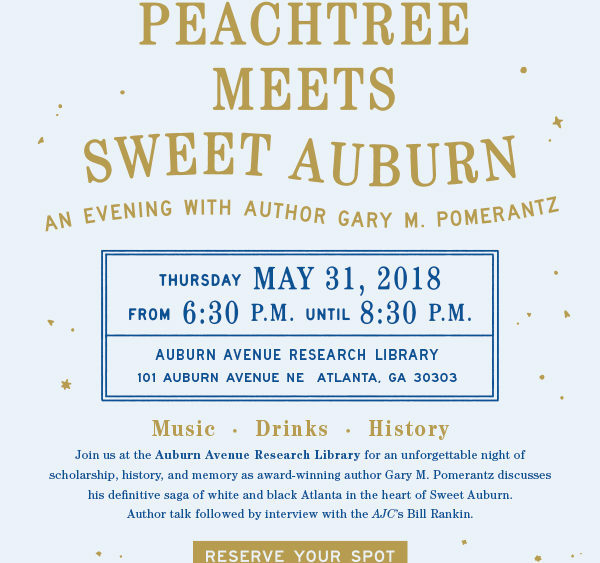 Pomerantz, a former journalist for the AJC and The Washington Post who now lives and writes in San Francisco, will discuss the book, originally published in 1996, as well as the many changes seen in Atlanta in the two decades since. 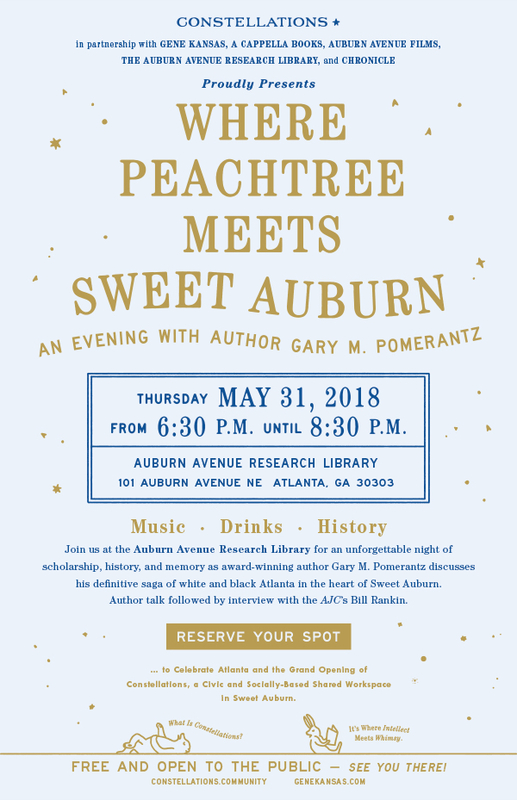 Atlanta Journal-Constitution reporter Bill Rankin will interview Pomerantz. A book signing will follow in the Writer’s Lounge at Auburn Avenue Research Library. Presented by Gene Kansas in Partnership with Constellations, Chronicle, Auburn Avenue Films, A Cappella Books & the Auburn Avenue Research Library.